A radio DJ has been praised by police after abandoning his show to talk a 13-year-old boy out of killing himself. 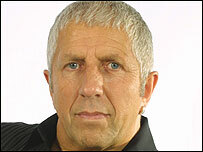 Pete Price, who presents a late show on a commercial radio station in Liverpool, has been praised by Merseyside Police for his actions. The DJ kept the teenager talking live on air for 45 minutes before convincing him to meet him off air on Wednesday. Mr Price met the boy just before midnight and he was eventually returned to his home in Anfield, Liverpool. Producers of the show traced the caller to a public phone box as he was talking on air. Mr Price said: "Nothing like this has ever happened on the show before and I was really worried. "I decided I had to find the boy and when he told me where he was I just went. "He obviously felt he could talk to me and I knew I had to help, I just hope he is OK now," he added. A spokeswoman for Merseyside Police said the boy was safe and well. She added: "Pete's actions in this situation are highly commendable."